The US National Institute of Standards and Technology (NIST) has featured in previous QESP Newsletter articles over the years, most recently in BYOD: New Guidance on a Big Issue. NIST “promotes U.S. innovation and industrial competitiveness by advancing measurement science, standards, and technology in a range of strategic areas critical to the nation’s economy.” The new NIST Three – Year Programmatic Plan, FY2014-2016 includes an outline of “ the strategic framework upon which NIST defines its priorities: relevancy to national priorities and research and technical capacity optimization”. Of particular interest for ICT management, staff and business stakeholders is Section 3.2 Optimizing Capabilities for Long-Term Trends, which includes 3.2.3 Big Data and 3.2.4 Systems Engineering. For Big Data, the Plan provides an overview of the emerging US and global impacts, noting “The development of standards and metrics will provide access to the often-hidden information in Big Data and allow for fusion with new and evolving data sources.” The Plan gives examples of NIST’s activities for developing frameworks, standards, and metrics in this area. Development of metrics, tools, and standards to measure system complexity and the potential for emergent behaviors. Development of metrics, tools, and standards to measure scientifically provable composability (such as modularity and state independence) of complex system components and compositionality (can the system as a whole be characterized by characterizing its components and how those components are combined) of the large complex system itself to meet performance requirements; standardization of reference architectures based on such scientific developments in select cases. Development of non-conventional mathematical models, tools, and performance metrics to measure, predict, optimally control, quantify uncertainty in, and assure/certify the dynamic performance of large complex systems which are both adaptive and evolving. 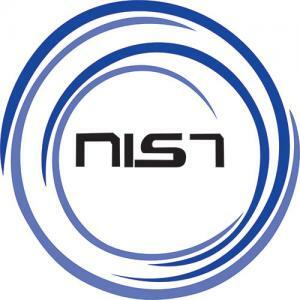 The NIST Information Technology Portal provides a range of free publications, presentations and resources, including software tools. It will be worth keeping an eye on progress towards the NIST Three – Year Programmatic Plan, FY2014-2016 objectives.